Double column for the BIG STUFF. 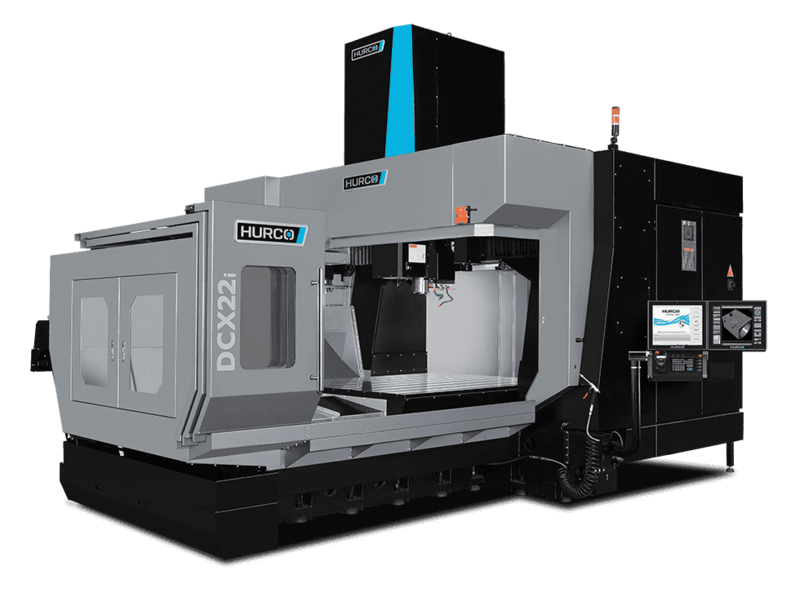 The DCX Series of CNC machining centres was created due to customer requests—customers who already knew the value of Hurco and needed larger machines for aerospace and energy parts. 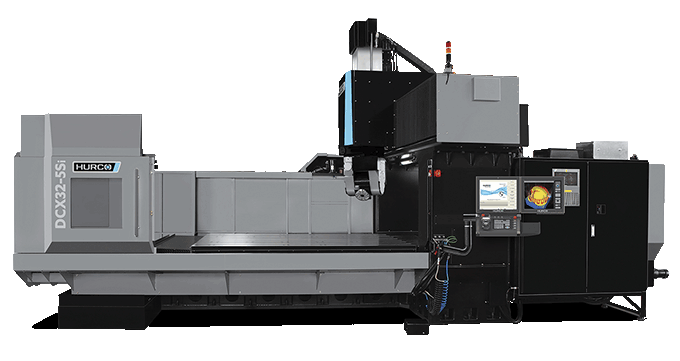 Our 2-metre and 3-metre VMCs are the biggest machine tools available with the powerful Hurco control. Built like a tank. All the cutting power, speed, and performance you need. Washdown system, spindle power, 40-tool capacity, and more. Probing, CTS, spindle chiller, and more. 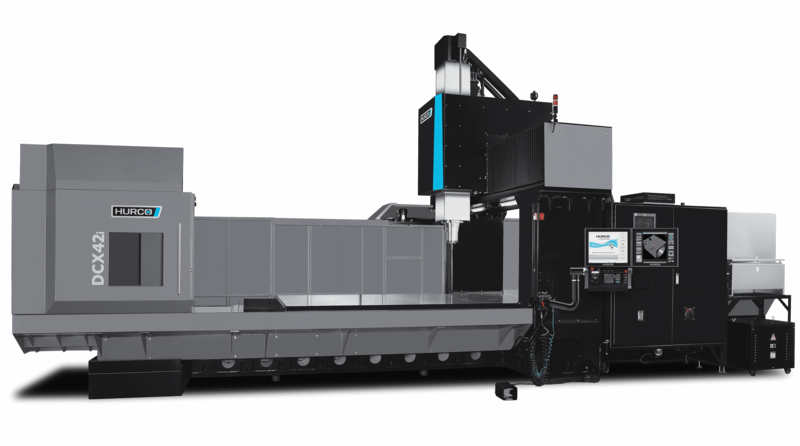 When our customers requested a massive machining centre that would accommodate the big parts their aerospace and energy customers were ordering, we knew the design and mechanical engineering was critical. We focus our efforts on reducing your overall cycle time while minimizing time wasted on non-cutting operations, by incorporating time-saving features in our DCX design and using premium components. The Heart of the Machining Centre. The DCX machining centres feature a powerful, 12,000 rpm cartridge spindle. The low base-speed of the spindle provides more torque for the machine without needing a gearbox, which eliminates additional assembly and maintenance. Prolonging Spindle Life + Preserving Accuracy. We have systems in place to prolong spindle life and combat spindle growth caused by heat dissipation. We use ceramic hybrid bearings in all DCX spindles (12K and faster). These bearings run at much lower temperatures, so they have a significantly longer lifespan and a much lower probability of failure. They are packed with lifetime grease, which promotes a maintenance-free lubrication system. In addition to using ceramic bearings, we use a coolant jacket that is designed into the frame’s head casting to keep the spindle at an optimum temperature by stabilizing wide temperature variations and reducing heat dissipation. Because keeping the spindle and work area clean is vital to machine performance, we incorporate an upper and lower air-purge system to keep contaminants outside of the spindle. Best-In-Class Chip Management High pressure, high volume, stainless steel coolant ring with adjustable nozzles delivers coolant right to the tool. Dedicated large capacity pump system and the dual auger that lifts up to a chip conveyor eliminate costly cleanup and save valuable time. Sloped telescopic way covers protect the internal components of the machining centre. Thermal Stabilisation Package. This spindle oil chiller is thermostatically controlled ward against spindle head growth. It is the most efficient way to preserve spindle life and preserve accuracy.